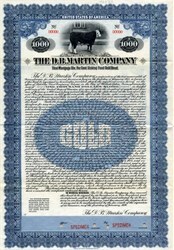 Beautiful specimen Gold Bond certificate from the D. B. Martin Company Company. 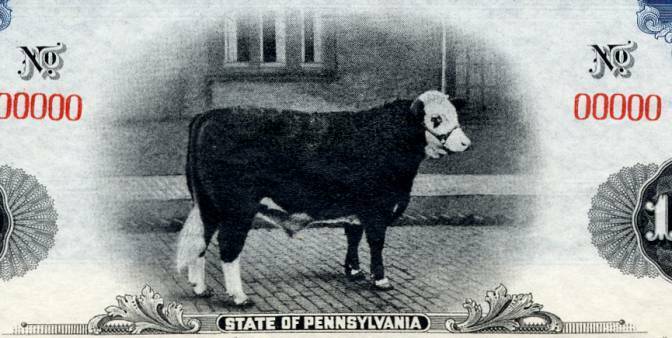 This historic document was printed by the American Bank Note Company and has an ornate border around it with a vignette of a cow. This item is over 93 years old. 30 coupons attached on right side.